MPs sitting on an influential environment committee are considering an investigation after it emerged millions of poultry are being slaughtered without an effective stun. 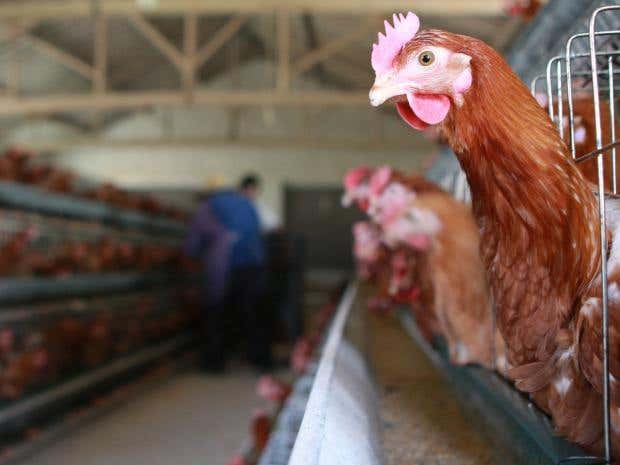 Around 180 million chickens and other poultry were killed last year using an electric shock vets deem insufficient to guarantee unconsciousness because of a loophole in the law, Government figures suggest. Experts said the shocking figures called into question Britain’s claim to be a world leader in animal welfare. Slaughterhouses can only use stunning methods exempt from EU regulations because of “religious rites”, where animals are not stunned in the usual way because of religious conventions. But figures show that while 20 per cent of chickens were slaughtered under religious rites rules last year, less than five per cent of the population – followers of Islamic and Jewish law – need to buy meat produced this way. Kerry McCarthy, who sits on the Environmental, Food and Rural Affairs Committee, told The Independent she planned to raise the issue as part of an investigation into allegations of malpractice at 2 Sisters, the UK’s biggest food company. Paul Flynn, who also sits on the committee, said the “very worrying” figures were something he would “certainly” consider raising at future committee meetings. The shocking figures come as animal welfare has come under increased scrutiny as the UK prepares for Brexit. Despite Environment Secretary Michael Gove’s insistence Britain could have “higher standards” of animal welfare outside the European Union, in July an influential parliamentary committee warned Brexit could do the opposite. “The Government’s wish for the UK to become a global leader in free trade is not necessarily compatible with its desire to maintain high animal welfare standards,” the House of Lords subcommittee on EU energy and environment found.